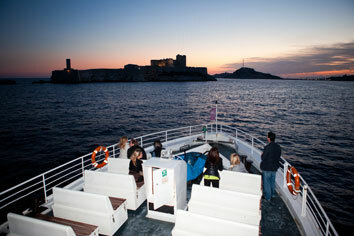 You will spend a pleasant moment visisting Frioul Island by fun train.It leaves face to the pier to take you on a visit of that magic place.The seaside tour will enableyou to discover”Caroline Hospital” (a historic building), St Esteve beach situated under Fort Ratonneau from which you can admire “If Castle” and Marseilles bay. Frioul tours from July 1st to September 2nd. They leave according to boat schedule.